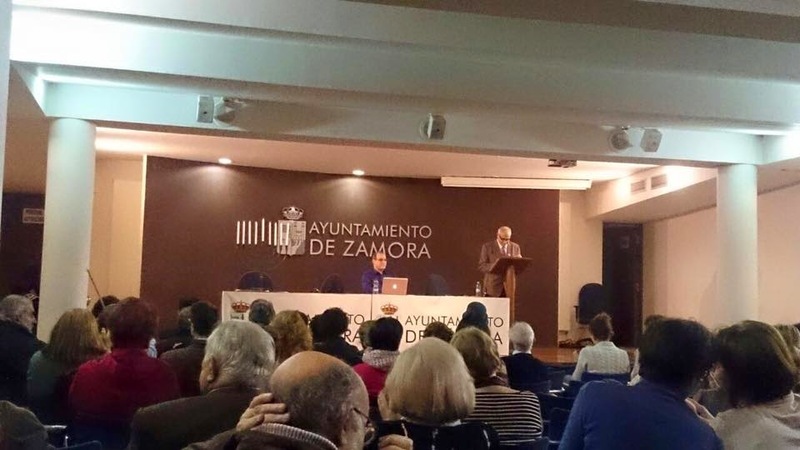 The ceremony took place at Palacio de La Alhóndiga on December 19th sponsored by the Ayuntamiento of Zamora, the Jewish Sephardi Council of Jerusalem and our Center. The event closed a week of celebrations, which also included tours of the Sephardic Route in the city; a talk on the Judeo Spanish language and a Shabbat dinner at restaurant La bohème. Here some pictures. At the podium Dr. Abraham Haim, President of the Jewish Sephardi Council of the city of Jerusalem, presents on the history and meanings of Hanuka. His Lecture used readings and songs to illustrate the celebration in different times and spaces of the Jewish cultural traditions. Candles lit among others by Francisco Javier Gonzalez, and Angel Luis Crespo, town councillors, local anthropologist María Antonia Muriel Sastre, and Dr. Jesús Jambrina, Viterbo University, promoter of Center Isaac Campanton. 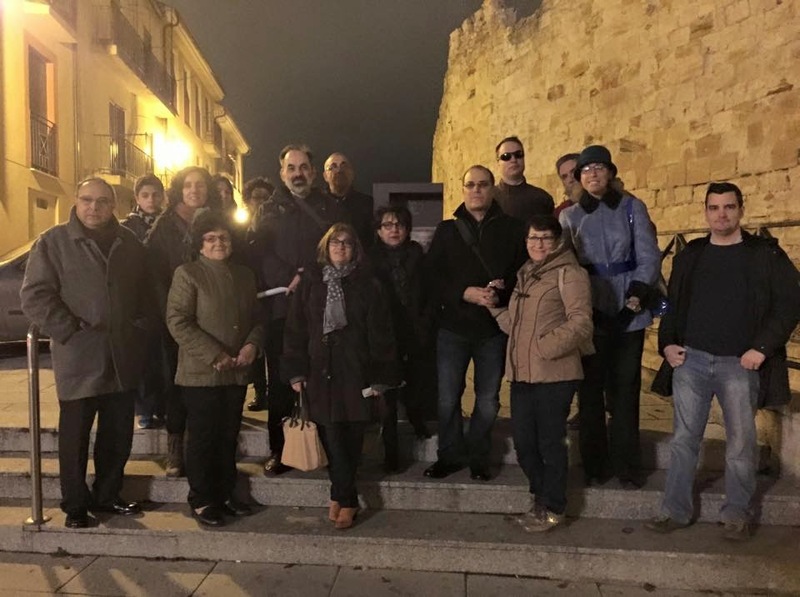 Participants on the tour of the Jewish Sephardi Route, Plaza of Santa Ana, entrance to the second of the Jewish Quarter in the 15th century. 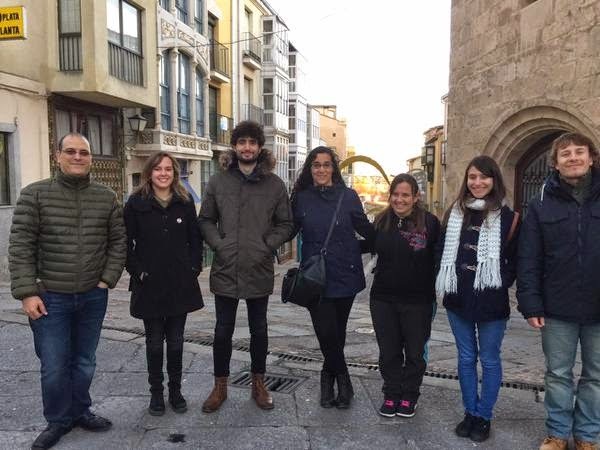 Students and a professors of the School of Education of University of Salamanca - Zamora campus touring the Jewish Sephardic Route led by local anthropologist María Antonia Muriel Sastre, and Dr. Jesús Jambrina, Viterbo University, Wisconsin. 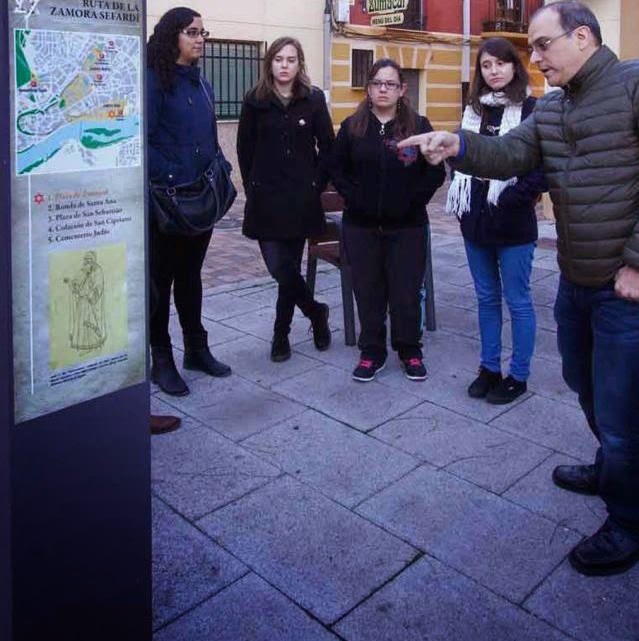 Students from University of Salamanca-Zamora campus touring the Jewish Sephardi Route in the city. More info: La Ruta Sefardí se cuela en las aulas, La Opinión de Zamora, leer aquí.